Par Matt Lanes, the bowling alley near Southern High School, was built in the early 1970’s by two local families, the Parsons and the Mattinglys. The business has changed hands a few times since then, and the most recent change occurred with the transfer of ownership on Monday, April 7th, 2014. Nancy Glotfelty and her daughter Debbie Raynovich sold the bowling alley to the Rains and Blackden family. Tiffany and Gary Blackden will be the General Manager and Operations Manager for the center. They have many plans for revitalizing this community space, giving particular attention to providing a safe, positive, and fun environment for Garrett County youth. With the change in features of Par Matt, the Blackdens made the decision to change the name of the bowling alley as well. The new name shifts from the namesake of the families who originally started it, to “The Alley”. Tiffany Blackden shared, “This was a difficult decision, given that the business has been here for so long, and has community presence. Part of the motivation behind the branding change was to convey that the center was really expanding programs. 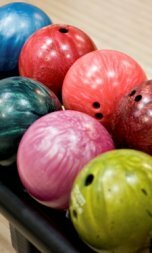 We are shifting the business model from a traditional bowling center to a family bowling entertainment center, with very distinct differences.” In the bowling industry, many traditional bowling centers are closing, while family entertainment centers are creating new options for family to spend time together and have fun while being active. The Alley will have brick and steel decorative features, to bring in a bit of an urban look and feel, while having some community centered decorative aspects. “We really love the concept of ‘art in public places’, and have already spoken to Garrett County’s Arts Council about sharing work of local artists, in our ‘Gallery at the Alley’”, Gary Blackden told us. With basically every surface and fixture in the building being replaced, it will essentially be a brand new establishment. Adding ways for their patrons to easily communicate and engage with them is important to the new owners. The Blackdens have already established a website and social media presence, to share information easily within the community. Their facebook page, Twitter account, YouTube station and website are regularly updated, so it’s easy to follow progress of this new business in town. They have many ways for the public to engage with them, even while closed for renovation. They have started an email newsletter, which people can easily sign up for on their website. These newsletters will include notes on the progress of the construction, as well as special events and offers. In the energy of sharing information, Tiffany and Gary also attended the Annual Garrett County Job Fair at Garrett College last month, to meet prospective staff members and share their plans with the community. Work has already begun to modernize the building inside and out. On April 17th, after the last night of bowling league play for the season, the center will close and the massive overhaul will begin. The construction will include updating the equipment by installing new synthetic bowling lanes and pinsetters, completely renovating the bathrooms, and making the entire center wheelchair accessible. A Grand Opening is planned for the first week in June. The renovation process will run through the end of May, including updating nearly all fixtures inside the building, painting the building and paving the parking lot. Pete Brosnihan of Concept Associates, based in McHenry, will oversee the general construction. 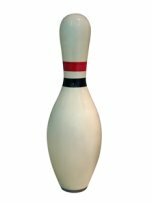 A team from Brunswick, an international sporting equipment company, will manage the installation of all the new bowling equipment. The new center will offer other fun activities in addition to the bowling features. Pool tables, ping-pong, air hockey, a shuffleboard table, and redemption arcade are some of the additions the new center owners are making. The changes won’t all be cosmetic, though. There are many new programs for people of all ages, including free introduction to bowling classes starting at the beginning of June, additional sanctioned bowling leagues are being added, and some shorter and non-competitive 10 week social bowling clubs. There is more on the books for this new local company. 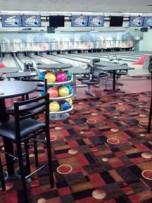 The old Part Matt Lanes is the first of two Family Bowling Entertainment Centers planned for Garrett County. The second location, to be built on the north end of McHenry, will be new construction. It will have similar features to those going into the Oakland location this month. The second center will be located on the company’s 3 acre commercial lot, at the northern most part of Deep Creek Drive, as it splits from Rte 219, south of the state police barracks. The plan is for the land to be cleared, and construction started on their land, as soon as the owners can get through all the permitting and planning needed to move forward.